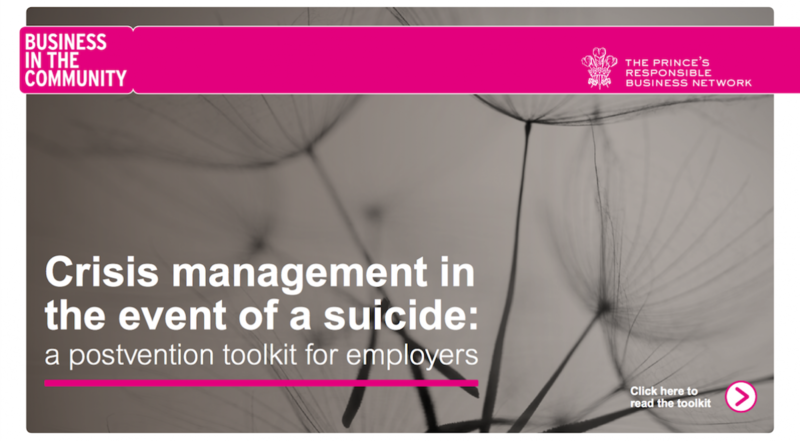 This toolkit is designed to support employers in their response to the suicide of an employee, at work or outside the workplace. For this reason, this toolkit refers to ‘suicide’ rather than ‘suspected suicide’. This toolkit provides advice when there is strong evidence that suicide is the cause of death, and when the community – colleagues, relatives and friends – are responding to what they believe is a suicide and so experiencing the corresponding impact and emotions. The support and resources needed in this scenario are outlined here.